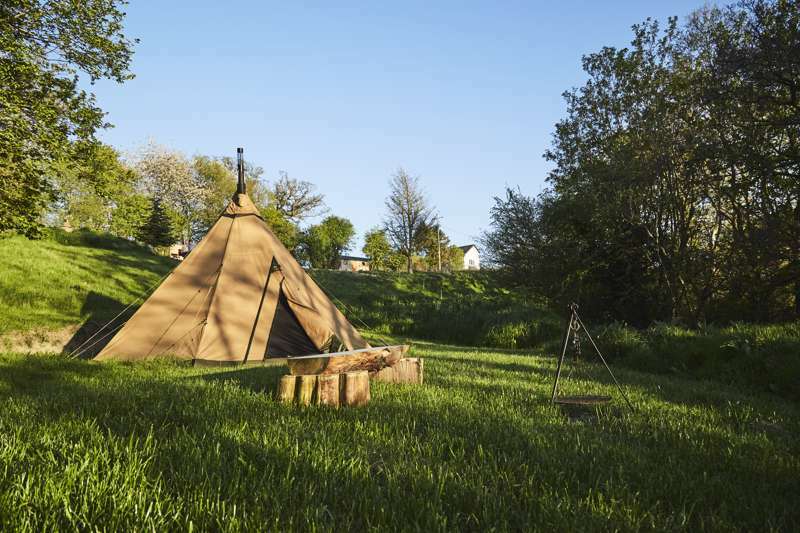 Ssssshhhhhh…you are about to uncover a secret: hidden away from the world in the Welsh countryside, our luxury yurts are a perfect opportunity to get back to nature. Smell the fresh air, take in the wild flowers - you can even make friends with our chickens. Each of our bespoke yurts has a beautiful hand made king-size bed with sumptuous bedding, candles, and a romantic and cosy log-burner to keep things toastie; a home-from-home, complete with the opulence one expects from a romantic break. Outside your own little yurt-away, you will find your own alfresco dining set-up: tables, chairs and private barbeque. With everything you need in our well-equipped kitchen to cook up a storm, all you need worry about is who gets to be in charge of the coals! With the Welsh countryside on your yurt-step, you will want to get the wellies on and explore, from horse riding and cycling, to Red Kite-spotting and castle-visiting, we can organize a range of activities, or just leave you to it - it’s your holiday, after all. 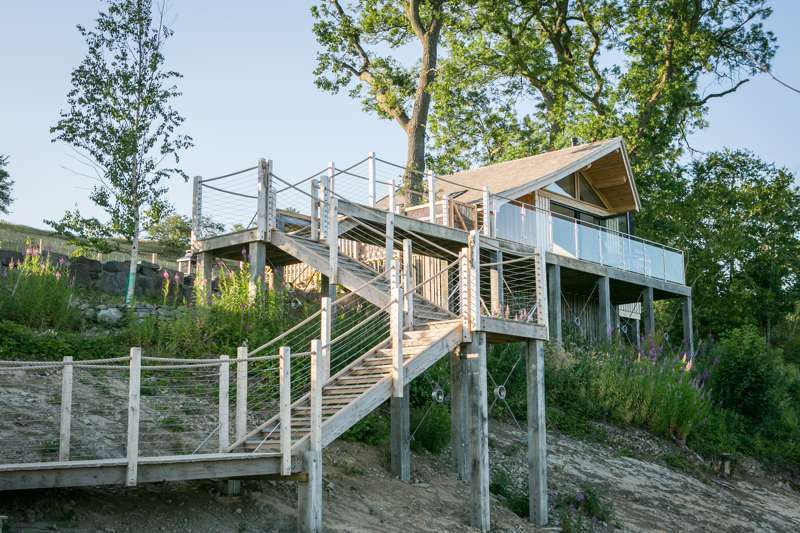 After all that fresh-air, why not round off an afternoon’s hiking and river-watching in the sauna and hot-tub? A perfect chance to kick off the wellies - crack open the fizz and relax under all the twinkling stars. 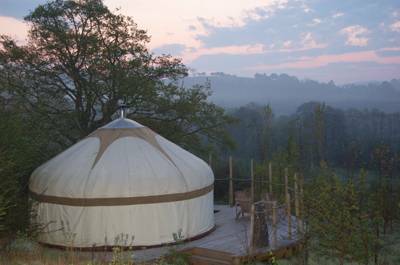 This is not just glamping, this is a private luxury yurt experience, in nature’s secret garden. For latest availability and best prices for The Secret Yurts, please use the Date Search above. Yurts are fully furnished, featuring king-sized beds (all bedding, towels and dressing gowns provided), side-boards and cabinets and a wood-burning stove (all wood and coal provided). Each has its own private wet room within the facilities building (toiletries and hairdryer included), where you will also find a fully equipped kitchen, with a double oven, fridge, washing machine, dishwasher and everything else you could need. All yurts have access to the Finnish sauna, while Birch has it's own private wood fired hot tub on the deck. 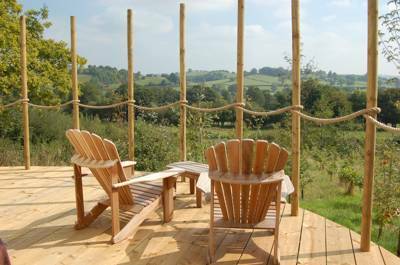 Oak and Rowan yurts have use of a shared, top of the range hot tub with motor massage jets and a bluetooth sound system. Each yurt has its own Kadai fire bowl, which can be used as a barbecue. It's 20 minutes to Powis Castle (01938 551944) in Welshpool and a 30 minute drive to Lake Vyrnwy where you can hire bikes and go canoeing, kayaking or sailing. Wander up to Lake Vyrnwy Hotel (01691 870692) afterwards, for a cream tea with fantastic views over the waters. Pistyll Rhaeadr Waterfall (01691 780392) is about 45 minutes away and Mount Snowdon is just over an hour away. Bounce Belowtrampolining and exhilarating Zip World (01248 601444) are also in the Snowdon area, while downhill mountain biking at Coed Y Brenin Visitor Centre (01341 440747) in Dolgellau is perhaps the most popular way to get the heart pumping. The Climach-X trail, in the southern section of the Dyfi Forest, is also a popular mountain biking route. It's just over 4 miles north of Machynlleth on the A487. A couple of miles away in Llanfair Caereinion, there's a romantic wine bar called Just 3 Drops (01938 811917) that comes highly recommended. Ruth serves great food, including tapas, and the wine selection is fantastic. In the same town, The Goat Hotel (01938 810428) is also excellent – a busy, friendly and warm local pub. There are two other cracking pubs serving food in The Red Lion ( 01938 810341) and The Black Lion (01938 810759). Supplies-wise, there's an excellent butchers in Pandy's (01938 810671), while the Banwy Bakery (01938 810952) serves a great selection of cakes and baked treats as well as decent breakfasts and lunches. The town also boats a post office, Spar, Londis, petrol station and a fish and chip shop. Chat with Tracey and Terry in advance and guests can also arrange Champagne, Prosecco, cakes, balloons and more, before they arrive. 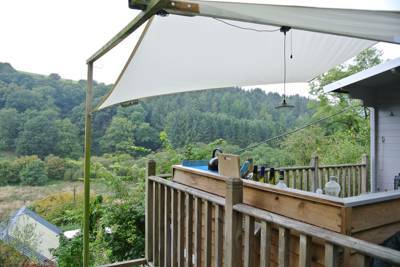 The campsite isn't the easiest to find and the postcode is shared with five other rural properties. Simply using the name 'The Secret Yurts' does take you straight to the site though. Tracey and Terry send you detailed directions when your booking is made. The nearest train station is Welshpool (0845 748 4950), where there is a taxi rank to get you the rest of the way. Pick up and drop off can also be arranged with the campsite. 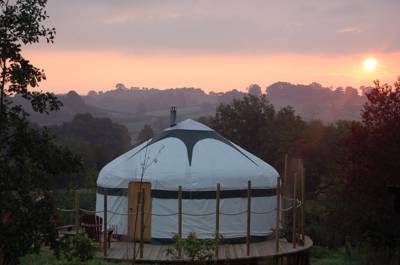 3 fully furnished, luxury yurts.